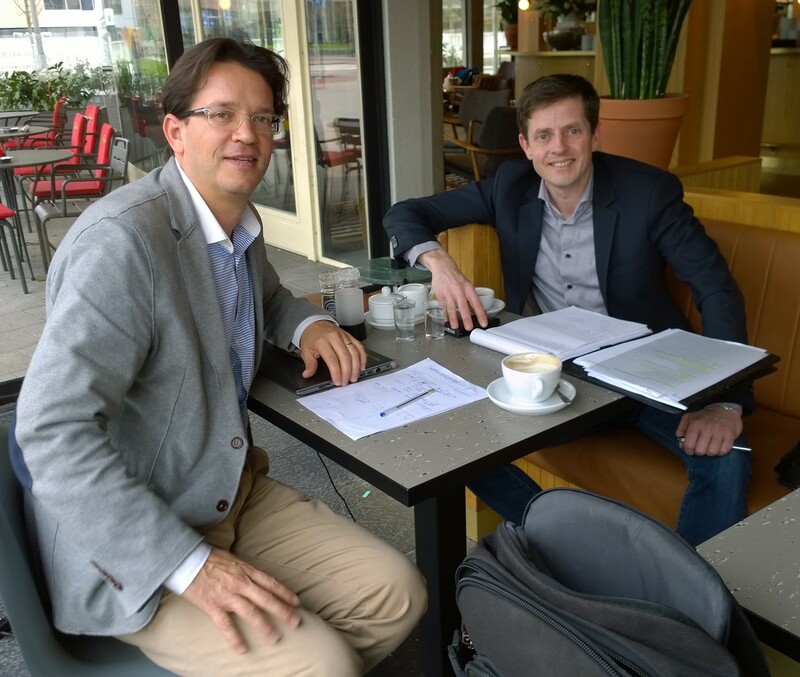 At the request of Bosman, Sven Kallen of Transfer and Remco van der Wegen of Bosman met in Rotterdam to discuss both administrative issues regarding the LIFE Smart Fertirrigation project as well as potential for joint dissemination activities. The Bosman group is an esteemed member of the Netherlands Water Partnership which has an active sectorial portal. The NWP channel offers interesting possibilities to get the innovative elements of our project to the water treatment community. Furthermore, Bosman is active in a number of European trade fairs, such as Aquatech, IFAT and Wasser Berlin, where target audiences can be reached effectively. For this project Bosman is also considering participating in SMAGUA Zaragoza to target Southern European clients with a potential interest in their Fuzzy Filter designed for the treatment of the liquid fraction of pig manure. Transfer and Bosman will also develop joint articles and press releases for the Dutch and German market once the first results of our project have been realised.